National Plant Services, headquartered in Long Beach, California, offers a full line of trenchless pipeline repairs, dredging, mobile filtration, excavation and industrial cleaning services as part of the Carylon Corporation. 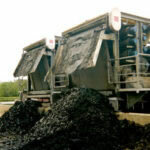 National Plant Services is a part of the Carylon Corporation, the industry-leading national organization of best-in-class regional operating companies that offer specialized services in sewer system maintenance, water supply maintenance and soil/sludge remediation to maintain critical environmental infrastructure. The origins of Carylon stretch all the way back to 1949. That year, National Power Rodding Corporation – the first of the Carylon Companies – saw a need for better sewer cleaning equipment. As a result, they developed and patented the world’s first heavy-duty “continuous rod” power rodder, an exceptional piece of machinery that proved to be far superior to anything on the market. Soon thereafter, Carylon became the first in the industry to research, develop and successfully use closed-circuit television to inspect sewers. 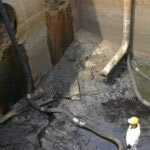 This new method of sewer inspection literally revolutionized the industry and is the basis for the present-day maintenance of the world’s sewer infrastructure. Today, Carylon’s long heritage of technological advancements, pioneering new processes, and developing specialized equipment is helping municipalities, utilities and industrial companies comply with environmental regulations and meet the growing challenges of environmental infrastructure management. 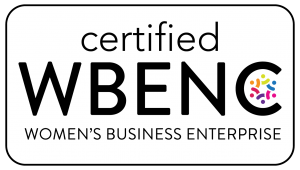 The Carylon Corporation is proud to be certified by The Women’s Business Enterprise National Council (WBENC), the most relied upon organization certifying women-owned businesses. We share in their vision to fuel economic growth globally by providing access to opportunities, offering robust resources and programming, and fostering engagements among constituents. Protecting the environment is baked into the DNA of every Carylon employee. That extends from minimizing the risk of an environmental accident to getting boots on the ground fast in an emergency. In our role as environmental stewards, Carylon provides vital environmental maintenance services to the majority of municipalities and utilities and to more than half of the Fortune 500 companies throughout the United States. Today, from locations throughout the United States, Carylon companies offer their customers a full range of the most comprehensive environmental maintenance services available. Carylon was there with alternative dewatering and biosolids disposal methods when laws were passed prohibiting dumping sludge in the oceans. 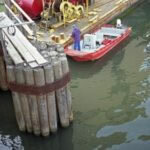 Carylon was there for cleanup operations following the floods in Johnstown, PA, New Orleans and other hard-hit cities. Carylon was there when a tunnel beneath Chicago’s Loop was breached, causing the flooding of the city’s entire downtown area. Carylon was there at “Ground Zero” to aid in the massive clean-up following the devastating September 11, 2001 terrorist attack on the World Trade Center.